For television, we write as we talk. Television (video) is a conversational medium. A superb example of excellent delivery is Arwa Damon's on her Return to Benghazi. Her phrasing and emphasis are first-rate. Great writing, great reporting that's poorly delivered gets lost. Delivery is essential to effective communication. Watch television news (talk shows aren't like this) in the Republic of Georgia and you encounter an unusual speech pattern. The anchors and reporters talk fast and the faster the better. They talk in a monotone. They read every story the same. Watch Rustavi, watch Ajara, watch Channel 1, watch any of the regional stations and you'll hear the same rapid-fire monotone read-it-all-the same delivery. From a communications standpoint, reading it all the same and reading it fast makes no sense. It's harder to understand. But when you suggest the journalists change their delivery, I get the same response this year that I got ten years ago, "No, this is Georgia." Unfortunately, many of the journalists have been trained to read that way by outside trainers. Watch Georgian Television news and much of it looks ten years out of date. The problem is the same: resistance to change. I just finished work at Odishi Television in Zugdiddi. The monitor for its editing computer appears to be the same monitor that was there a decade ago. When I demonstrate simple graphics, the editors say they can't do such things; they don't have the technical capability. They edit on Adobe Premier Pro; they can do all the things I've demonstrated. But like in most of the regional stations I've visited the past month, the editors use a tiny fraction of the editing program's capability. Reporters don't even think of graphics when planning their stories; they don't think of utilizing multiple frames. 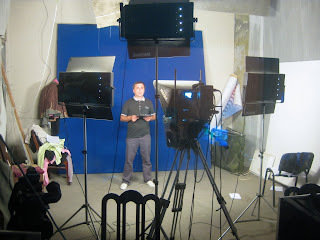 The main impediment to improving the look and sound and quality of television news in the Republic of Georgia is not technology or lack of resources or money. It's attitude. As long as the attitude persists of, "No, we don't do that, we don't use reporter's questions, we don't shoot reversals, we don't use lav mics for interviews, we don't use graphics, we don't do that because this is Georgia," the product will not improve. Georgian TV stations will significantly and immediately improve the look and sound and quality of their news programs as soon as they decide to change their attitude about change. Once they do that, reporters and anchors will start talking to their viewers instead of reading to them like robots. I would encourage Georgian journalists and news managers to click on some of the videos in Arwa Damon's report on Benghazi. It doesn't matter if they don't know English. Just LISTEN! Listen to Arwa's phrasing, pacing and emphasis. She's talking, she's COMMUNICATING EFFECTIVELY, something reading fast in a monotone doesn't do. Absolutely right comments, Karl. I'd like to add: too much talking, very fast (too long texts to read!! ), too long stories. 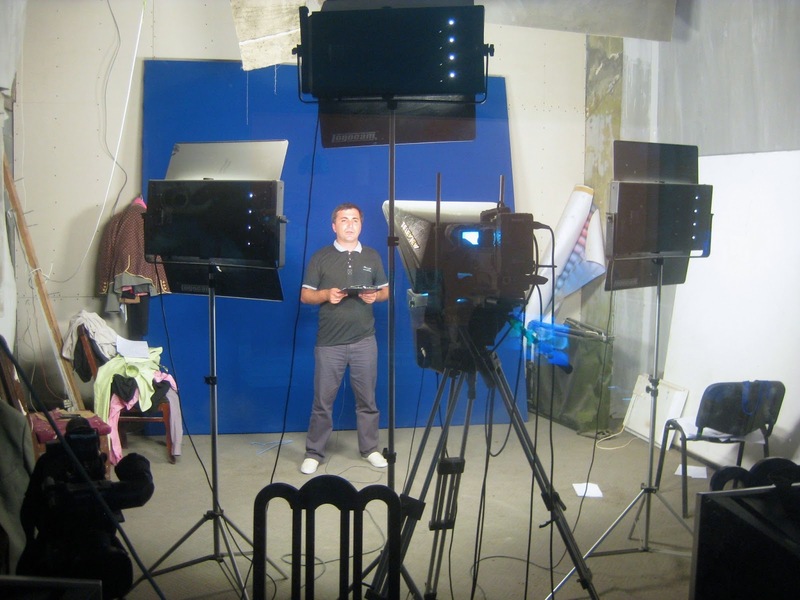 In 2011 I was hired by "Maestro TV" to train a camera operators/journalists and supervise their news stories. The limit that time was set to a maximum of 2 min. each story. Watch Maestro now - if it is a story, it is a 3-4-5 min. long. If it is a separate piece of the interview - 1-2 min. Talking heads.